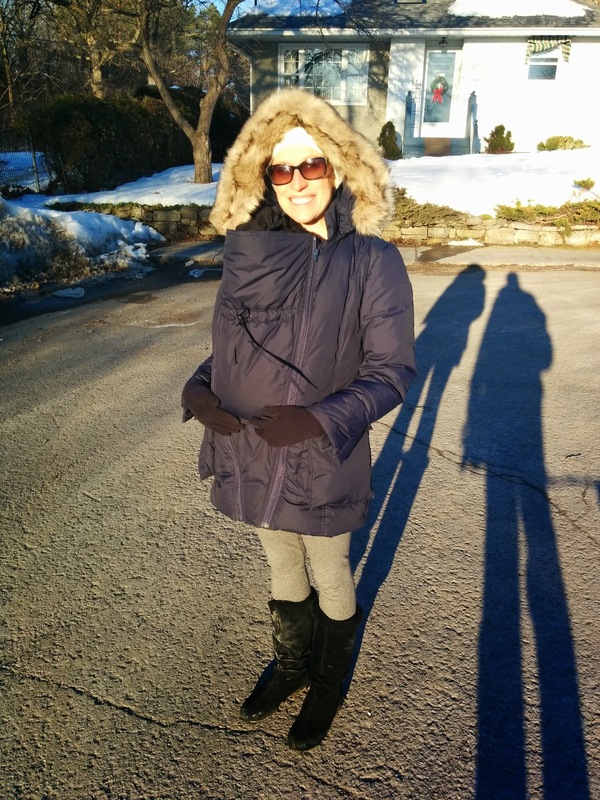 After trying on multiple coat extensions for pregnancy and babywearing, I opted to purchase the M Coat. I actually loved the panels, and will likely get one in the future, however with the jackets I currently own I didn't find that the panels looked good or fit well. For pregnancy, the panels look best with a mid-length jacket, and my winter jackets are either too long or too short. 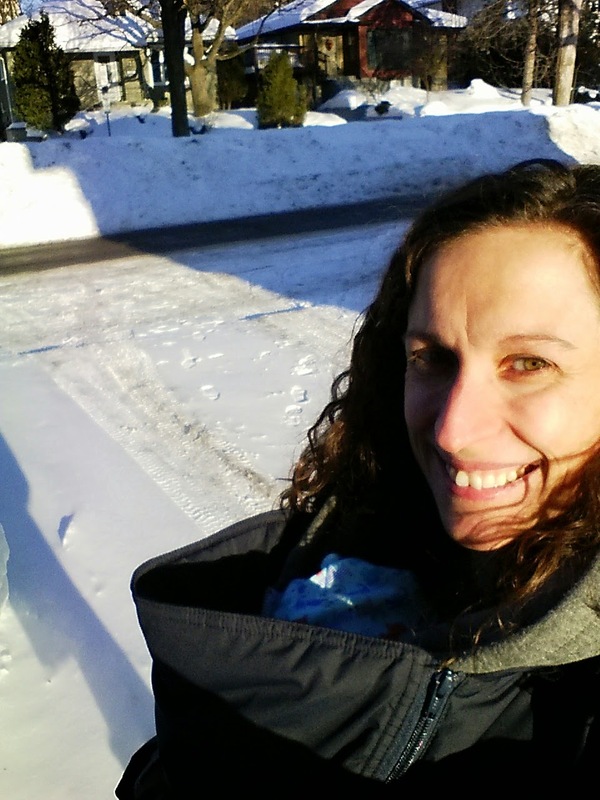 In pregnancy, I found the M Coat to look a bit bulky on my small frame, but it was comfortable and kept me very warm. Except for my legs which were used to being covered by a knee length winter jacket. For babywearing, I absolutely love it. The jacket is nice so I have no problems wearing it as my primary jacket, which means I can just pack the panel in my diaper bag with a carrier and I'm ready to take baby for a walk no matter where I go. In the above picture, our son is wearing a light cotton sleeper inside the Boba Wrap, and I've zipped up my fiance's sweatshirt around us before finally putting the jacket on. And we were way too warm, the sweater was too much! Below, you can see the full jacket on another day. Underneath I'm wearing our son with the Lillebaby Complete Original. He's wearing a fleece sleeper and we don't have another layer on top of us and we are cozy warm. Pockets are bulky in pregnancy and add width where you don't need extra width! Would I buy it again? Absolutely. However, I was able to find a used jacket in new condition at half price. At full price, I'd consider getting myself a warmer, long length, Canada Goose jacket with a Kokoala panel if I'm pregnant again in winter. Yes, its a splurge, but these jackets are extremely warm and you get the extra length.